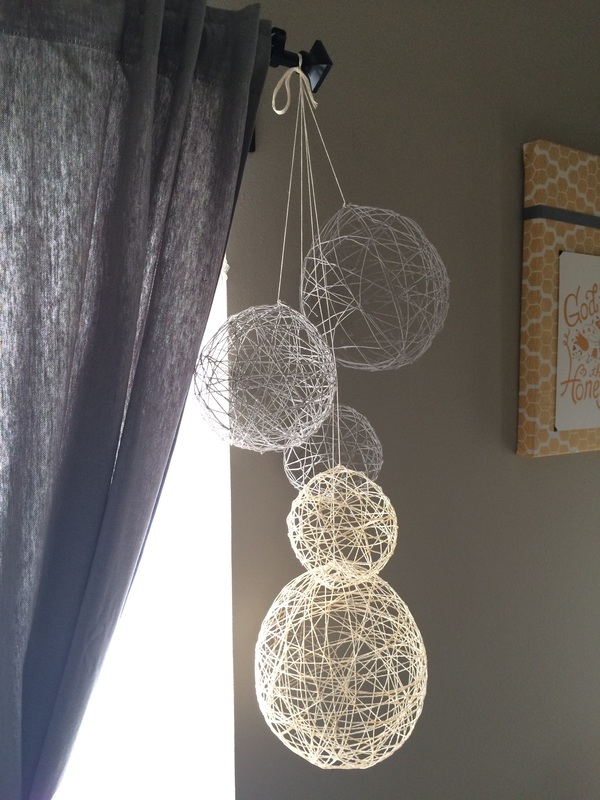 Twine Art Orbs: Balloons, Twine, Glue, Go DIY! – Odds & Hens : Ramblings. Creations. 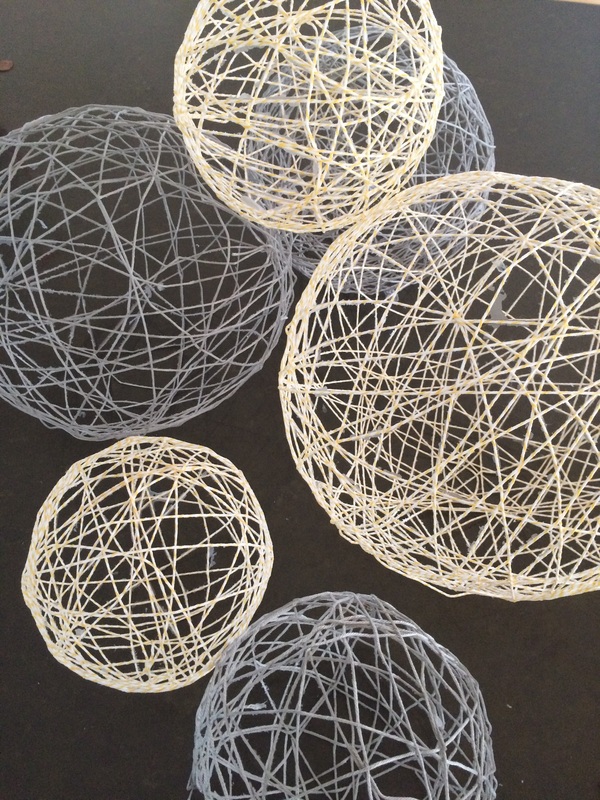 Twine or string balloon decorations are an easy and versatile craft. Make a lot in a many sizes, hang them offset above a table and you have a chandelier, make smaller versions add some glitter and you have a simple holiday ornament or stay more traditional and recreate the delicate Easter Egg baskets using embroidery floss and a lot more patience. 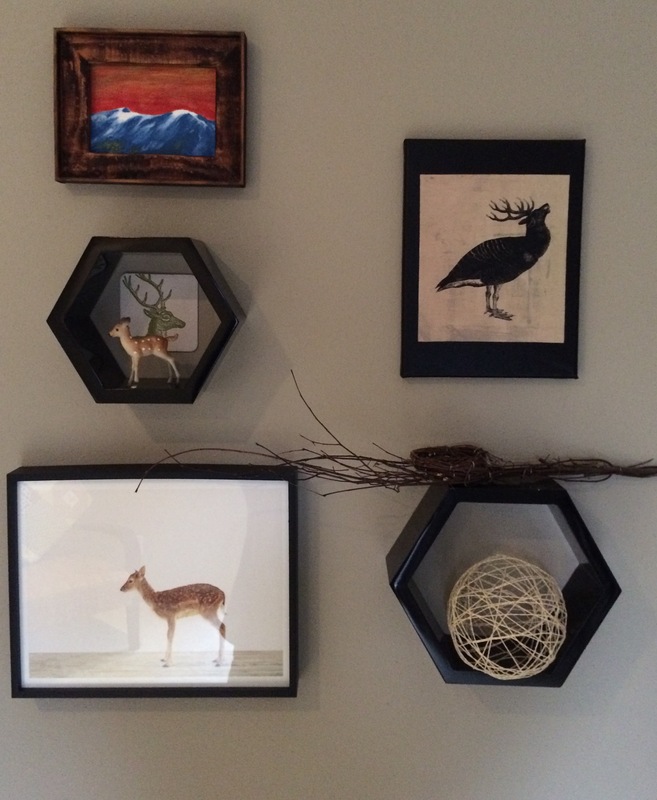 First find a place where the balloons wound up with wet twine can hang and drip dry. I tied them to my cupboard over the sink, but you could set up a yardstick between two chairs and put a tarp down or do outside on clothes line etc. Inflate some balloons to the the size you want. If you inflate less they will be more round vs. eggy. I then tied a string to the balloon tie so that I had it ready to go when it was time to hang and dry. Get ready to wrap! I used bakers twine and Stiffy Fabric Stiffener but you can use regular craft glue, modpodge etc. Using a foil disposable pie pan, I unwound long lengths of twine and saturated in the Stiffy by letting it sit in the pie pan for a few minutes. Now start wrapping! I suggest winding the wet twine atorun the balloon the long way, slowly moving and criss-crossing etc. Do as much of this or as little but I found about a half to one inch average open space worked the best. Now dry! Hang the balloons wrapped in soggy twine up to dry. Maybe a few hours or longer. Just test it out. When all dry, pop the balloon. Be sure to watch as ours deflated in a pretty funny way and make a crinkly sound as the balloon separate from dried twine. 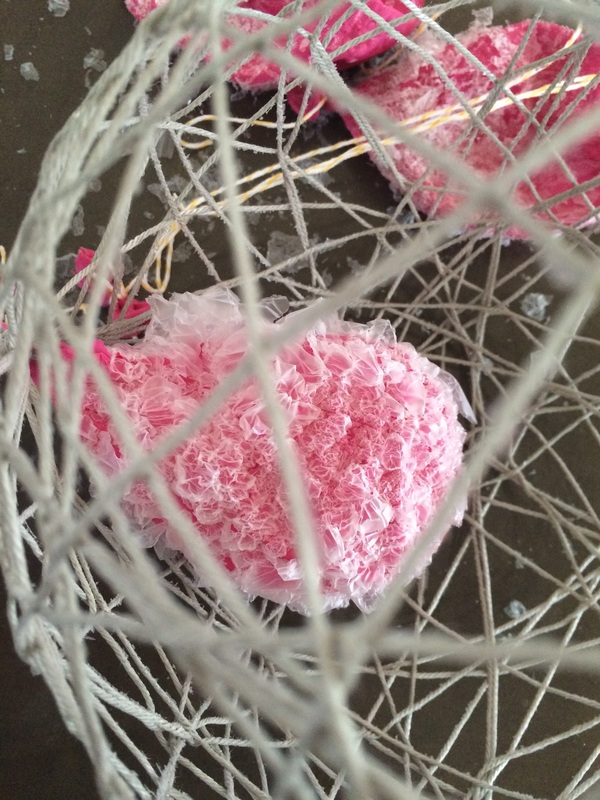 Remove the balloon bits and you are ready to adorn al the things with them. Add glitter like only Martha can! Messy fun by a local blogger!